East Africa holds out a lot of promise for oil and gas exploration, but its ultimate emergence as an energy player remains in doubt. 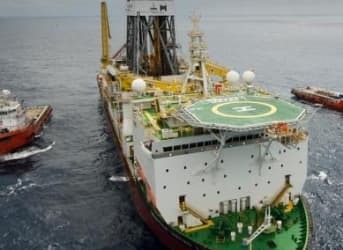 Statoil, the mostly government-owned Norwegian oil company, announced on March 30 that it has made a major natural gas discovery off the coast of Tanzania. But the gas find is merely the latest among eight significant discoveries of hydrocarbons off the coast of East Africa. Statoil was already sitting on nearly 21 trillion cubic feet (tcf) in its Block 2, and the latest discovery will chip in an additional 1 to 1.8 tcf. Statoil is not the only international oil company drilling in Tanzanian waters. ExxonMobil and the UK’s BG Group are also drilling offshore. Along with Kenya and Uganda, Tanzania has put East Africa on the map for exploration companies. The Tanzanian government says that it has 53.2 tcf of recoverable natural gas reserves within its borders. Related: Can Argentina Capitalize On Its Vast Shale Reserves? However, the optimism surrounding Tanzania’s oil and gas sector has darkened since last year, for several reasons. First, the arrest of two top officials at the Tanzania Petroleum Development Corporation in November 2014 threatened to derail the nation’s push towards oil and gas development. The arrests came because the officials refused to disclose the details of the production sharing agreements they reached with foreign oil companies Statoil, ExxonMobil, BG Group, and Ophir Energy. A longer-term stumbling block to fully exploiting its resources has been the dearth of adequate infrastructure. The Tanzanian government is laying out an ambitious spending plan to change that, detailing $14.2 billion in new spending on railways in order to build the transit capacity to move coal, iron ore, and other mining products to ports on the coast.